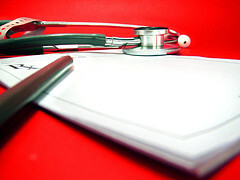 Some cases of healthcare fraud involve complex financial schemes. Other cases are more closely tied to medical treatment, involving poor patient care. Ultimately, both forms hurt patients but the latter is a more direct threat to patient health. Doctors who, in the course of fraudulent schemes, prescribe inappropriate medications or encourage prescription drug abuse are putting lives at risk. Such cases can result in major criminal trials and can also give rise to individual civil claims on behalf of those harmed by physician misconduct. Our San Francisco health care lawyer is proud to fight fraud through both whistleblower fraud cases and individual injury claims. This week, as detailed in a Department of Justice press release, a Florida doctor was sentenced to a 30 year prison term for health care fraud, illegal distribution of controlled substances, and failure to appear. From 2001 to 2005 Dr. Robert L. Ignasiak, Jr., now age 58, operated the Freeport Medical Clinic and became known for freely prescribing controlled medications such as oxycodone, hydrocodone, morphine, alprazolam, and diazepam. He prescribed these highly addictive substances in dosages and combinations that led patients to abuse the drugs and become addicted. This dangerous prescribing continued even after Ignasiak became aware that patients were abusing the drugs. Patient misconduct included: Not taking the drugs as prescribed; Stealing drugs; “Doctor shopping” to obtain drugs; Mixing medications and alcohol; Suffering from overdoses; and Exhibiting signs that medication use was out of control. Despite the many indications misuse, Ignasiak continued writing the prescriptions. These practices lead to several patient deaths. In 2008, Ignasiak was indicted and tried on charges related to his prescription practices. He was convicted on 12 counts of health care fraud plus 31 counts of illegal distribution of controlled substances. The conviction was reversed in 2012 and Ignasiak was released pending a retrial. He faked his own suicide on October 31, 2012 and was eventually arrested in Florida in September 2013. In October 2013, he pled guilty to 12 health care fraud counts, 29 illegal distribution counts, and one count of failing to appear for trial. His 30 year sentence was announced by U.S. District Attorney Pamela C. Marsh. Ideally, doctors should be working to prevent prescription abuse, not fueling the growing problem. The Center for Disease Control reports that the number of drug overdose deaths have more than tripled since 1999, with 36,000 people dying from overdose in the U.S. during 2008. Most of the deaths involved prescription drugs. Nearly ¾ of the prescription overdose deaths stemmed from prescription-level pain killers. In 2008, prescription drugs played a part in 14,800 overdose deaths, more fatalities than caused by cocaine and heroin combined. These overdose figures parallel a 300% rise in the sale of prescription pain medicines since 1999. We should be able to trust our medical providers. Abusing patients’ trust is a serious violation of medical ethics that has significant financial and health consequences. These abuses can result in a wide range of criminal and civil charges, including whistleblower-led health care fraud cases (aka qui tam fraud litigation) and medical malpractice claims. Attorney Brod is an experienced Northern California medical fraud attorney and can help you with both individual damages claims and qui tam lawsuits for health care fraud claims. If you suspect a medical provider is engaging in practices that harm patients and/or result in fraud, call our office for a free consultation.